Welcome to the last pattern in our Christmas in July series! Just in case you've missed any of the previous patterns I have them collected together for you here (plus a few new ones)! I did a lot of boy and girl versions in my forest animal series and that's exactly what I wanted to do with these two as well. 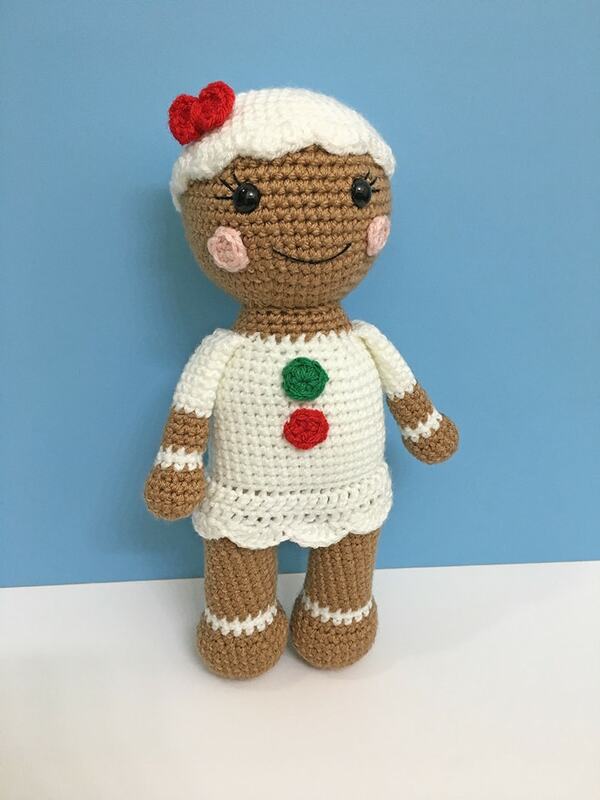 Below is the free pattern for Ginger the Gingerbread Girl, head over here if you would like the pattern for Snap the Gingerbread Boy! 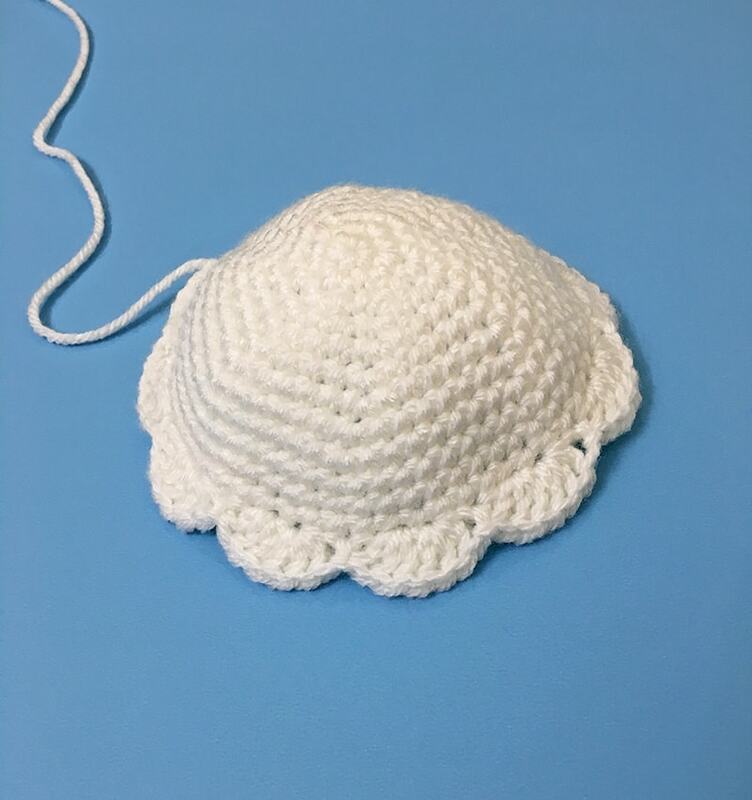 Round 4: Ch 1, sl st in same stitch, *3 DC in each of next two stitches, skip 1 stitch, sl st, skip 1 stitch* rpt around for a total of 8 scallops, join with a sl st. Note: Here is where we will add the facial feature before we start closing the head. Insert the eyes between rows 15 and 16, 7 stitches apart. 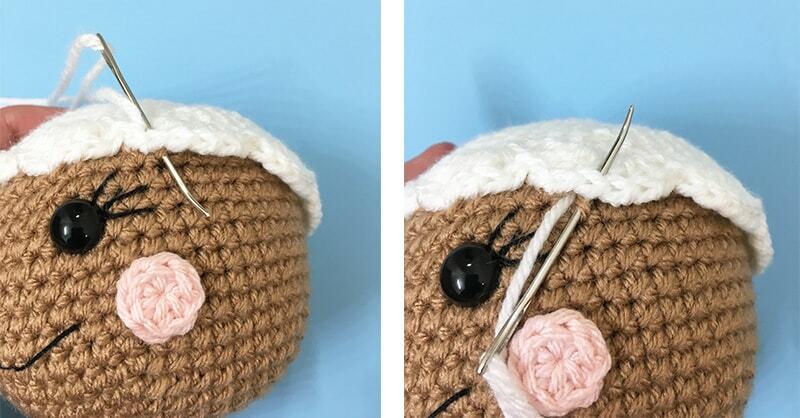 I like to place my eyes where I’d like them and then remove them to make the eyelashes, this creates a small hole to help find your placement. When ready complete by snapping the backs of your eyes into place. Your gingerbread doll is done! 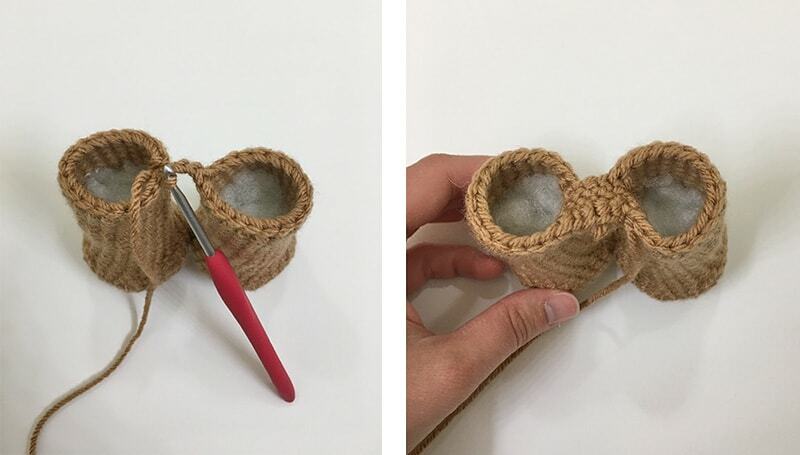 I hope you've enjoyed this pattern! Oh Thank You so much for sharing this pattern. My niece loves all things Gingerbread. This will be her Christmas present. 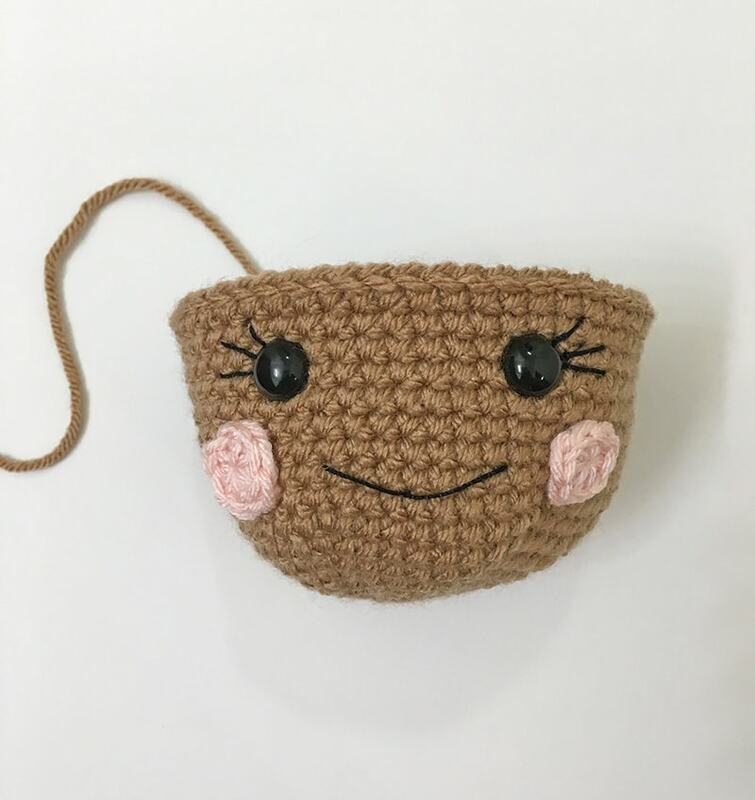 Can't afford to buy gifts so I crochet gifts. I will be starting this Saturday. Again Thank You so much. You're welcome, I'm so glad you like it!! 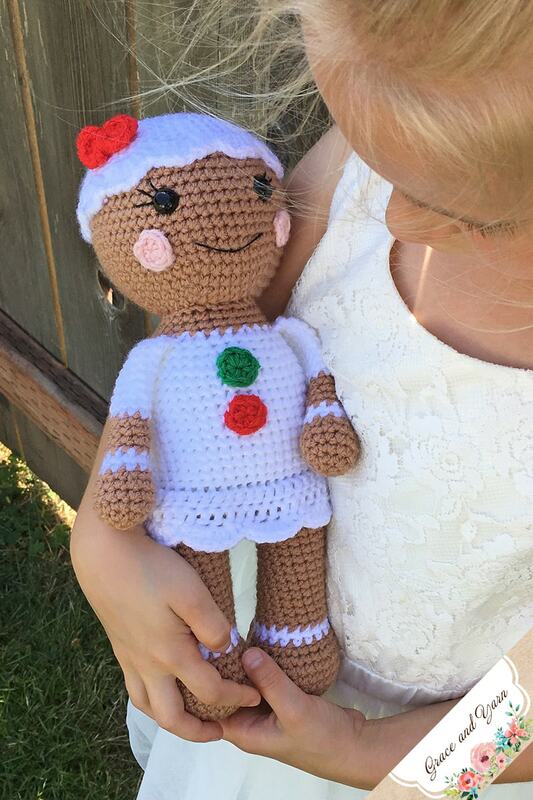 Making these now.just love them.Hope mine turns out as good as yours.changing the color of girls dress in hat to red.with green r white bow.n doing peppermint stripe buttons. Hello, I haven't been crocheting very long and have only made a few blankets using video tutorials. 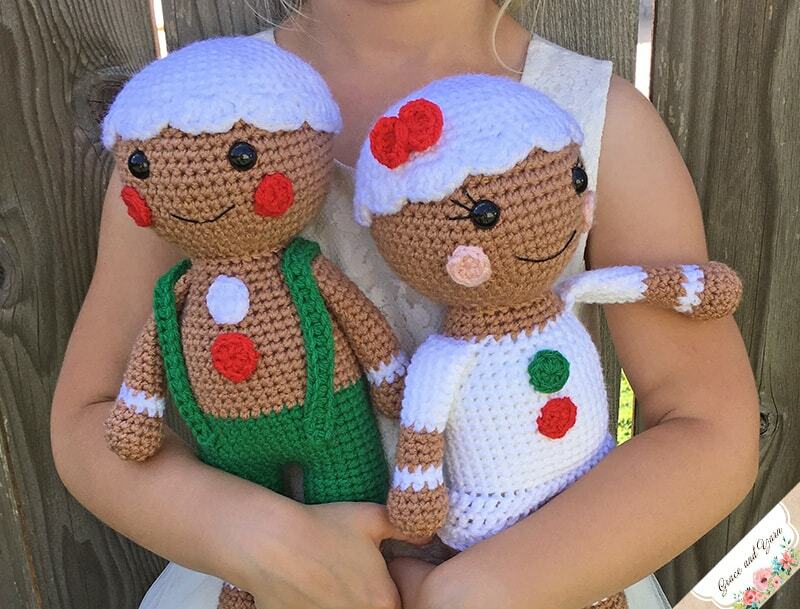 I also have never read a pattern before BUT It was love at first sight for me with the gingerbread boy and girl so I am making at least one set. I have a question in regards to finishing the neck, do I leave the open and then attach the head around it? 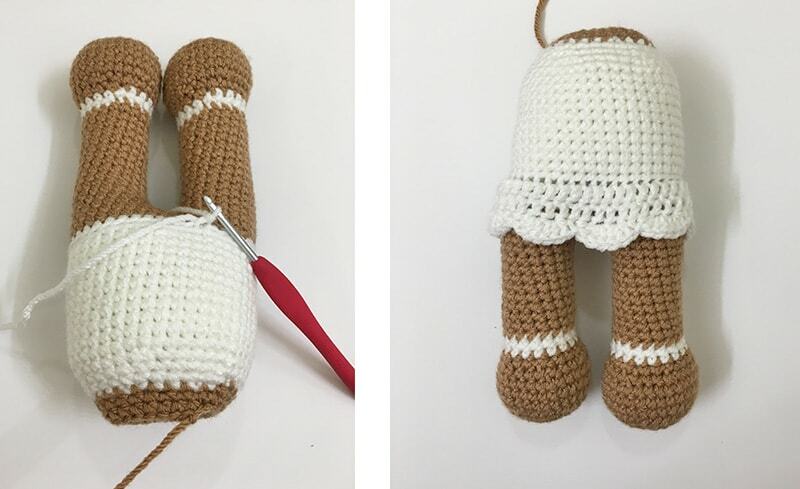 I'm sure it's a silly question but I've never made stuffed toys before.